The BOMA Project replaces aid with sustainable income, helping ultra poor women “graduate” from extreme poverty by giving them the tools they need to start small businesses. They work in Kenya’s toughest remote areas impacted by climate change and turns beggars into business owners through training, education, and investment. Since 2009, BOMA has reached almost 50,000 women and children and has helped launch over 2,300 businesses. Mission Statement: BOMA implements a high-impact income and savings program for ultra-poor women in the drought-threatened arid lands. BOMA helps them to start small businesses in their rural communities, so they can pay for food, school fees and medical care for their families. 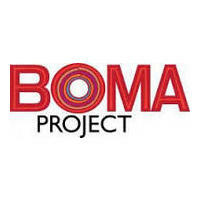 The Skees Family Foundation began working with the BOMA Project in 2014. We agree wholeheartedly with their mission and the progress they have made since their foundation in 2009 is admirable. We wanted to work with them to help them make a difference in the lives of women all throughout Kenya.